Through our twenty-two years of entertainment experience, Energy has established solid, mutually beneficial relationships with some of the leading industry providers. We believe that having everyone on-board is what leads to the most successful events. While certain entertainment companies come to the table with set timelines, playlists and costumes, Energy realizes that each event takes on a personality all its own. We work closely with event planners and venues to assure everyone is on the same page – guaranteeing our ultimate goal of producing the most successful events possible for our clients. If you are an event planner or venue looking to expand your list of preferred entertainment providers, please contact our offices today to learn about our competitive referral structure. Do you require a floorplan? Yes, we do require a final copy of the floorplan no later than one week prior to the event. Do you provide a timeline or itinerary to your clients? Yes, we do provide an itinerary to all our clients, however each itinerary is strategically catered to the desires and expectations of the client. When we go through the confirmation process, we make sure to get all details from the client, event planner and venue to assure we are all on the same page. If you are an event planner and create your own itineraries, we will adapt to your schedule and let you know if we believe any changes are necessary. How many employee meals does your staff require at an event? Energy does not require any staff meals for any event. Our staff is at the party to perform, not to eat; thus they eat on their own time before or after the event. Does your staff require valet parking? In most suburban venues, we do not require valet parking. However, pursuant to our standard entertainment contract, the client is responsible for parking fees associated with venues in Chicago, Rosemont & Evanston. Can you provide me with the emcee’s cell phone number for day-of emergencies? Our emcees do not have company phones and it is our policy that we do not give out their personal numbers. However, our voicemail & email systems are electronically monitored on days which we have events, so if you need to reach us in an emergency, contact us just as you would during regular office hours and we will respond to your message promptly. How large of a space will your setup require? Our core package with light truss is best fit on a footprint of 16′ wide x 12′ deep (inclusive of dance risers). In venues where dance floors are portable, we ask that the edge of the first tile is no less than 12′ from the wall. Can your setup be modified to fit a smaller area? Yes, we can modify our setup to fit a smaller area. 16′ x 12′ of open space is preferred, though we realize many venues cannot provide that much space. Please let us know prior to the week of the event if a modified setup will be required. No, we do not require a stage. In fact, we prefer not having a stage since our dance risers provide the necessary height for our staff as well as the party guests. Do you require a table? Yes, we do require (1) 6′ table with a black or white linen. The table will be stationed behind one of our custom facades, so skirting is not necessary. We require a minimum of (2) separate 20amp circuits. If a client secures additional staging or lighting options, additional power may be necessary and we will confirm with the venue the week of the event. What time will your production crew arrive to setup your equipment? We have a logistics system that analyzes the amount of events we have, along with the flexibility of setup and strike times at a given venue. The week prior to the event, we will furnish the venue with a 2 hour window of when our staff will arrive to complete the setup. Typically, the setup crew will arrive no later than two hours prior to the event, having all equipment in place and functional for a sound check approximately one hour before the scheduled start. Are you flexible with your setup schedule should we require an early or late setup or strike? Yes, we are often flexible with early or late setups or strikes of our equipment. However, based on the event load of a given day, the client may be responsible for a nominal fee if the setup or strike is rushed. Do you require parking for your equipment vehicle during the event? Generally, our trucks do not stay at the venue during the event. If we do require parking for an equipment truck, we will make arrangements the week prior to the event. 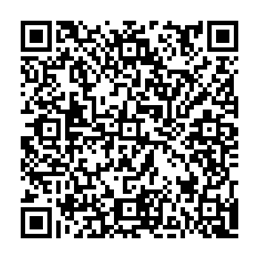 Use your smartphone to scan this QR code and store our contact information!